Storage and retrieval of heavy, bulky items have never been easier! The STAK System® is a dynamic pallet-based storage and handling system where one operator can efficiently manage loads weighing up to 4,000 lbs, all in a footprint that is 70% smaller than selective pallet rack. 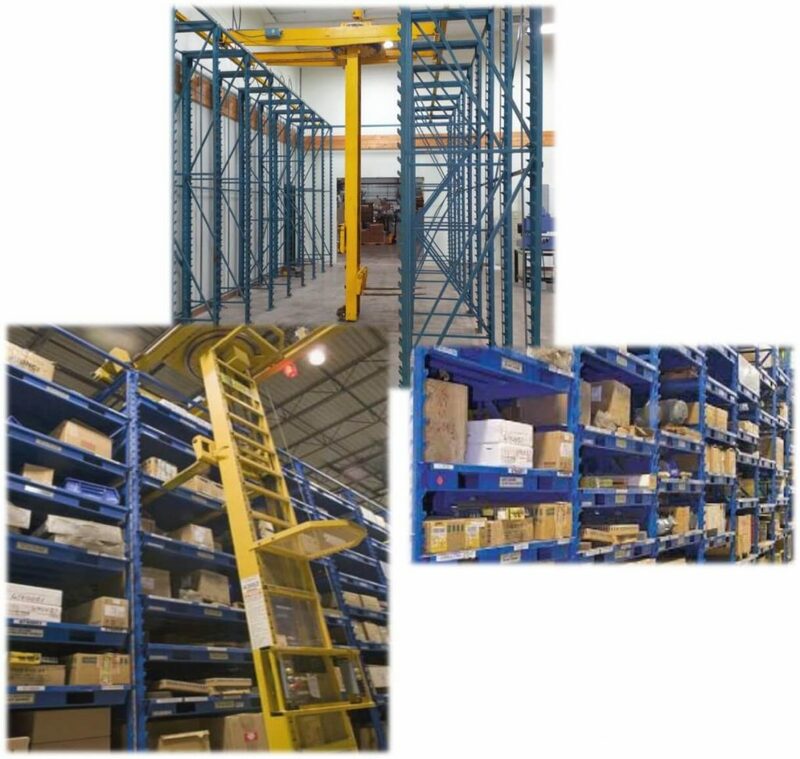 The system is based on adjustable pallets, rather than fixed shelves, and a captive lifting & handling device that helps maximize storage density by minimizing the vertical space requirements of each stored pallet and its contents. Pallets can be continually adjusted or expanded to meet your changing storage needs. STAK System® is ideal for work-in-process, maintenance, tooling and fixture, supply and distribution and storing bulky motors, pumps, tools, molds, and barrels. 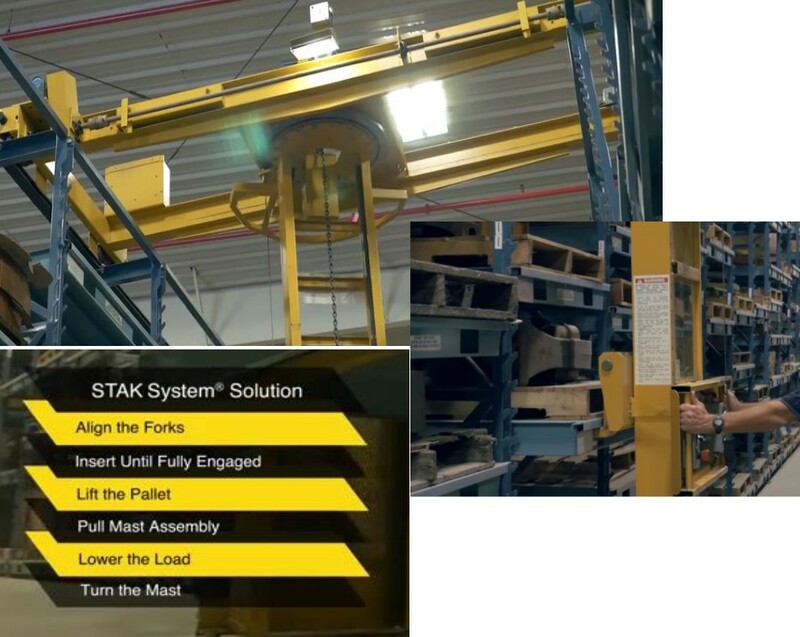 STAK System®– is the base model of adjustable racking, consisting of removable, adjustable pallets and a captive lifting and handling device that eases retrieval in as little as two minutes. A single operator can efficiently manage loads weighing up to 2,000 lbs in less than 250 square feet. 4K STAK System®— is the next step up in weight capacity. This unit will handle loads up to 4,000 lbs. Available with or without an ergonomic operator’s cab. ADD TOTAL FLEXIBILITY TO YOUR OPERATION!